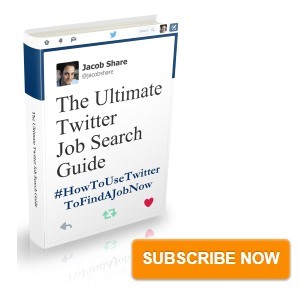 Learn how Lists make job searching with Twitter so much easier. If you’re new to Twitter Lists, first read my handy guide How To Best Use Twitter Lists and then come back here. Use Lists to categorize the Twitter users that you follow specifically for job search purposes and keep them separate from the other users you follow. By organizing your tweets into relevant Lists, you can better focus on getting things done such as following up on job listings and networking with people who might be able to help you get a job. By seeing other people’s Lists, you can discover who other similar job seekers found helpful for their Twitter job searches. If someone else has already spent the effort to make a List relevant to your job search, why bother doing it again yourself? If you create a Shadow List of companies you’re targeting, you can learn a lot about them without those companies having any idea that you’re there. Spending the effort to make Lists is a good idea if the Lists you make are valuable to other people AND relevant to your personal brand, so that people remember you later when they need help from someone like you. If experts in your industry List you as an expert too, that testimonial will do wonders for your personal brand. If many people List you, as can be seen by the listed count on your Twitter profile, it’s probably because you are someone valuable to follow. If many people List you similarly and in a way related to your brand – which you can check using Listiti – other people will get the right impression of you just as they discover you on Lists. If you attract enough followers to your Lists, you will become known as a quality List builder, which will bring more followers to your Lists, and so on. When people appreciate the value you give them with your Lists, they’re more likely to follow then and/or you directly. Creating Lists related to a certain industry or profession is a clear way of associating yourself with them. As you’d expect, I have already built a number of Lists related to job search. When you create a new List, clearly explain its purpose in the description. Also, if someone inspired you to create that List, thank them. Giving credit always leaves a good impression. Adding someone to your List increases the chance that they will visit your profile out of curiousity to see who is Listing them. Help other people improve their Lists- if you think that someone’s List could be better with an addition or two, tell them. People always appreciate sincere thanks, and it’s a simple, positive way to stand out. If you follow these personal branding tips, you will attract ever more people to your Twitter profile but unless they like what they find, they won’t follow you or your Lists. Now that you understand all the benefits of Twitter List usage for your job search, let’s get to how you can do so effectively right from the start. If you’re currently employed and are doing a confidential job search, keep your Lists out of sight. The main disadvantage here is that there are people who you will want to be aware that you’re following but who won’t know you’re there because you’re following them privately. However, the risk of having your confidential job search discovered by your current employer is too high otherwise. Before Lists, Twitter was a confusing flow of information. Lists may let you filter what you need, but having too many Lists will just waste your time in a different way and you’ll find that in the end, you only use a few of your Lists. If you plan well from the start and use the List strategy I recommend below, you’ll avoid wasting all that time from the start. This is a List of the job search-related Twitter users whose tweets you don’t want to miss, such as people you’re networking with or people you’re learning from about job search in general or about improving your skills in particular. Use this List as your default Twitter stream when you’re looking for a job. Use my directory of 400+ Twitter job feeds to build a List of job feeds to follow. If you find feeds that are very relevant, you might want to add them to your VIP List but most feeds that are worth watching will still have tweets that aren’t relevant. Instead of having them pollute your VIP List, keep them on a separate List to browse daily. If people are watching the listed count on their Twitter profile (which shows how many Lists follow them) or using a service like Listiti to send alerts when they’ve been added to a List, they will know when you’ve added them to your List and they just might click through to discover who you are, especially if they like the name of the List you’ve put them on. For example, if you added me to your List of “Best Job Search Experts Anywhere”, I’d certainly be tempted to see who tagged me that way. Although you can save time by following other people’s Lists, this is one reason to create your own Lists instead (although you can do both). This way you can discover relevant Lists to follow and even other people to add to your VIP List. If you’re trying to build your personal brand and make a name for yourself in your industry, create at least one Value List to attract attention from people whose attention you’d like to attract i.e. people in your profession who might be able to lead you to your next job. For example, you could create and maintain a List of job feeds that are related to your profession or the place you live or you could make a List of influencers in your profession. Whether to follow relevant news or experts sharing links, either follow or create a dedicated List for daily learning and improving your skills. It might be tempting to integrate this into your VIP List but only do that if you can avoid getting distracted during the hours where you should be job searching. Another reason to make this a separate List is because it would likely be a Value List for other people. Confidential job search aside, whether you decide to make this a public or private List depends on a number of things. Building a relationship with a company doesn’t mean you need to put them on a public List because you can always follow them directly, which will draw less attention than Listing them. If you’re concerned about competing job seekers knowing who you’re targeting – which they could know using Listiti – just make a Shadow List. Or, for example if you’re participating in a competition sponsored by a company, you might specifically want them to know you’re following in which case you should not only List them publicly, which raises the odds that they will notice you. Following Twitter’s lead (pun intended), companies are creating lists of their employees, which will be a great way to build relationships with them and ask them questions about (hidden) job openings. Cross-reference with LinkedIn or Facebook to get a better idea of a List member’s background. Relevant job feeds like those in Cris Janzen’s Job Postings List. Recruiters who might be able to place you, like Mark Stelzner’s great-hr-recruiting-peeps List. Job search experts like Jennifer McClure’s career-coaches-job-search List. Career success experts like Lindsey Pollak’s career-workplace List. Personal branding experts to inspire you like Mohammed Al-Taee’s Personal Branding List. Organizations that offer internships or apprenticeships like my Cool Internships List. Student organizations like globalquad’s Student Organizations List. Alumni associations such as EtiquetteWise’s Alumni Associations List. University or College Career Centers like Lindsey Pollak’s college career centers List. Companies who are hiring like Susan P. Joyce’s Employers Recruiting List. Companies you’re targeting like thesoursop’s Brands_Companies_Bricks List. People at companies you’re targeting, like this List of Google Employees. Most important bloggers in your industry like my Top Job Bloggers List. Experts to learn from in your industry, like you might find by searching for your industry on Listorious. Professional associations, clubs, guilds, leagues, etc. like RecruitingBlogs’ Community List. Follow the most pertinent of these Twitter users with your job search VIP List. 1 job search VIP List – check this first when you log onto Twitter for job search purposes. If you also use Twitter for fun, you might have a separate, general-purpose VIP List too. 1 List of job feeds – if you find another person’s List that covers your industry, copy the parts you need in creating your own List that you can update later. Check this List twice a day. 1 Value List (at least) that you create as part of your personal branding. Update this as necessary. 1 List for learning – there’s a good chance this will be a Value List created by someone else but if you can’t find the right List for you, just create your own and follow more relevant people as you discover them. 1 Shadow List of companies and people you’re targeting or considering targeting. Check this List once a day. For best results, set aside time every day to interact with people on your Lists. In other words, don’t just follow Lists- build relationships with the people on the Lists. Official Twitter List Widget – a widget for blogs and other websites that displays tweets from a specific Lists. This is a good way to show off any Value Lists you’ve created in building your personal brand. MustExist’s List Tags – a great tool for personal branding, List Tags lets you compare how people List you. If you’re wondering how successful your personal brand is, try this tool and check if the results match the way you’re branding yourself. Listiti – “Get notified whenever your brand / product / company / … appears in Twitter Lists of your choice.” Use this to find out who’s Listing you. Twitter Lists 2 RSS – if you like to follow blogs by RSS, you can now follow Twitter Lists as well with this tool. Since Twitter can’t tell you’re following those Lists, this is like following Lists privately, something you can’t otherwise do on Twitter. Tweetvisor – a web client for Twitter that is also Lists-compatible, you might prefer it over the basic Twitter.com. Subscribe to JobMob via RSS or email and follow me on Twitter for the best Twitter job search tips. 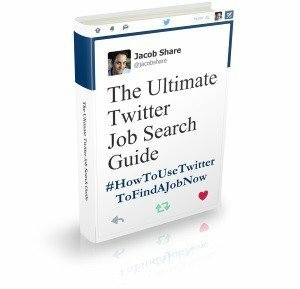 Very nice post,You explained very well how we can use twitter for job search and job lists. I’m using lists to make sure I don’t miss life-changing posts from friends.